Announcer: [0:02] You’re listening to the OverDivorce.com podcast with hosts, Tom and Adrian. Two guys swapping stories about getting over divorce. If you’re going through a painful divorce and are struggling with anger and anxiety, then you’ve found right the podcast. [0:16] Hang with us for the next 30 minutes, or so, and we promise you’ll gain useful insight and effective tips and techniques for getting over your divorce and rebuilding a better life. Tom: [0:29] We’ve got a guest with us, we’re excited to welcome today. [0:57] Randy, welcome to the show. Randy Cooper: [0:59] Thank you. Glad to be here. Tom: [1:01] I appreciate you joining. I was struck and shocked that there’s only six mistakes you can make when you’re getting a divorce. Tom: [1:10] I thought that was amazing. I made at least 50, but I’m glad to know that. Randy: [1:15] There are thousands of mistakes, but there are six big mistakes and from those all the other mistakes flow. Adrian: [1:23] Those are the headliners. You’ve got subheads, subcategories. Randy: [1:27] Zoom out 30,000 feet. What are the mistakes that we’ll make? For instance, one mistake is limiting your resources as you go through this. [1:39] People tend to want to go through it alone or with an attorney, and that’s it. That’s not enough resources, so a lot of mistakes may get made when that’s the case. See how that flows? Adrian: [1:52] Entering in the divorce coach, or a therapist, or something like that, or a financial planner. Randy: [1:58] It’s insure. Somebody who knows, some of the other mistakes that people make. The lawyer is a great person to utilize at divorce. However, they’re not also the financial planner. They’re not also the coach. They’re not also the therapist. They’re not also anything. They’re their lawyer. [2:17] That’s not generally enough information. It’s amazing how many mistakes are made in income taxes or financial matters that end up in tax court, that were obvious to some people down the street, from you. Why utilize that one person? Adrian: [2:38] Not dipping into a bigger, knowledgeable, beforehand to give you a lay of the land. Randy: [2:48] Let me see if I can find it in here quickly, to give you a sense of something that someone said. There’s a quote in here that says, “To accept good advice is, but to increase one’s own ability.” You have a certain ability to go through this, and it’s always a good idea to check out some other resources. Adrian: [3:09] What comes to my mind is Tiger Woods, one of the best players in the world. He still has a coach, right? He’s got a swing coach, and he gets advice when he’s on the green and tee off. [3:21] The best athletes in the world all have coaches, and all tap into expert advice, and resource. That’s a big game changer. I never thought too much about it, in terms of especially when I was going through my divorce, that there was even such a thing as a divorce coach. That’s pretty new phenomenon, isn’t it? Randy: [3:45] It is. Divorce coaching didn’t show up in the literature until about 2006, and that doesn’t mean it was popular. In the last six months, the American Bar Association added Divorce Coaching to its website Dispute Resolution Page. [4:02] It’s Alternatives Resolution. It’s one of the alternative dispute resolution processes. It’s considered that. It’s arbitration, mediation, lots of other things, and they’ve included now, divorce coaching — imagine. Adrian: [4:17] What does that mean? You can now go as a couple or as individuals to divorce coaches, as opposed to going through a mediator or lawyer? Randy: [4:27] No. That was too big a statement for them to make about this, but it’s there. Divorce Coach is not going to resolve your settlement. Divorce Coach is going to work with one party, and be the thinking partner for that person. [4:47] I don’t know if you know this, but there were studies done, for CEO’s mostly, where they studied the IQ where the CEO was under a lot of stress. When they were in a lot of stress, their IQ went down 10 to 15 percent. [4:59] When you’re in stress, like in divorce, you’re not your regular IQ, so you tend to struggle. When you’re at work, you’re overwhelmed by your divorce, you have it still on your mind. [5:13] You may not be functioning at peak function. I’ve known guys that have been in sales, and they’ve had to function on a high level, and they couldn’t do it. [5:20] They couldn’t sustain that over a year or so of their divorce, and they got fired. Other people aren’t getting fired, but they’re not bonusing. It can overwhelm your health, if you are not eating well or not exercising as much, if you are stressed it can overwhelm your driving. [5:39] Especially driving, worrying about your kids, what’s going to happen, and you’re seeing your divorce in your windshield not the car in front of you, the stop sign, or the red light. It can overwhelm about everything else too, family relationships and so forth. [5:57] Getting somebody who can be the voice of reason, that can calm down that overwhelm, and to help you to know how to take next steps. Take care of yourself, and take next steps in a way that makes you a credible witness, to your own needs. [6:16] Helps you work better with your attorneys, so they can represent you better, rather be the angry overwhelming story of divorce. What do guys do? We go into our cave. We don’t ask for directions, you need to come out and do that. Adrian: [6:39] Is that the biggest mistake guys make you think, kind of close themselves off and not take advantage of the expertise that is available to them? Randy: [6:48] Well that’s one. I don’t know if that’s the biggest one. A lot of it is communications. Communicating with your soon to be ex-spouse, if there is communication to be had. [7:01] Communicating better with your attorney, learning what your communication might be, learning to listen to another party instead of having a shouting match always, that doesn’t go anywhere. Adrian: [7:14] That’s great, that’s fantastic. [laughs] Works every time. Randy: [7:18] That’s hard to do. It would help to have somebody there, helping with that communication. It matters in mediation, it matters in generally. It can make a lot of difference, a big difference. It’s hard to imagine unless you have done it. Adrian: [7:35] What do you tell people that have either finished the divorce, or most of the way through it. Are there still danger points, are there still things to look out for, as your kind of working through it? Is there any final dips? Randy: [7:52] Wells there’s all the business of divorce and communication, afterwards. The things that are in the divorce decree, were post divorce, have to be taken care of. It has to be effectuated now. What most want to do is throw the divorce decree down on the table, and forget about the divorce. [8:10] Yet there is a lot of work to do, and time limits. Sometimes it isn’t written into the agreement, but sometimes it’s not that. You have a one year and six month time limit, to do things. [8:22] The first year you and your X can decide want to do, according to the decree, even if it wasn’t in there, but you say, “We both agree so let’s both exchange this.” After one year it has to be only according to the decree, Otherwise you will get into gift taxes, and income taxes. [8:41] After six years, you can’t exchange anything without having it income tax you, or split your IRAs. It’s going to be tough to do that, because you are past that six year window. You may end up with a tax on changing that IRA. [9:01] For instance, Divorce Coaches aren’t familiar with [inaudible 09:07] planners [inaudible 09:07] familiar with that, but most of them aren’t. [laughs] that is your best hope. You go to a CDFA or some other designation like that. [9:20] You can go the Insinuate DFA, David, Frank, Albert.com and find a CDFA, a certified divorce financial analyst near you. Click, type in your zip code and a list will show up. There is a place to go, if you are not sure about some of these things. About taxes and so on. Adrian: [9:42] Talk a little bit about, how much the net worth needs to be in order, for this to make sense. Does a guy negative or marginal savings, then a house that might be flat or slightly upside down. Did someone like that need some extra planning or is it for rich people? Randy: [10:03] It’s not so much an extra planning, we’re talking about… don’t think that divorce’s not making mistakes and errors, that could end up costing unwanted taxes. [10:22] For instance, somebody that [inaudible 10:23] divorce says, “You, you’re going to give her half your $20,000 IRA.” Not a lot of money, but it’s $20,000. She’s going to get $10,000 from the IRA. [10:35] Most people think that all you do is have $10,000 distributed from there and sent directly to her, and then she rolls it into her IRA, and she has 60 days. No, that’s not true in divorce. [10:48] That’s not how they work. That’s your IRA. That’s not her IRA. It can’t come from your IRA. If you do it that way, you’re going to pay taxes on $10,000 and if you’re under 15.5, 10 percent on that. [11:02] She’s not going to be able to roll that whole thing into her IRA, because a lot of it it’s over contribution. She’s going to owe six percent surtax on the excess contribution. That’s not how you do it. [11:13] What you do is you divide it at the custodial. You call the company that where your IRA is at, divide that in half-here’s my divorce decree – put half in her name. Now it’s her IRA. Now she can do what she wants, withdraw it, transfer it. You’re out of the loop. Adrian: [11:28] That’s big chunk of savings. That way it is the 10,000, as opposed to the 1,500 that he’d get after all the taxes that have been stripped out, in penalties. Randy: [11:39] Right. The IRA is unforgiving about that. They’re not going to worry that you didn’t know. Adrian: [11:48] Right. What other financial mishaps can happen, besides the IRA-types issues? Is that the big one that most folks miss and then have to, either unknowingly pay all these penalties and taxes, or are there some other things that folks can tripwire over, or stumble upon? Randy: [12:13] There’re different things, for instance, one negative thing can be if you’re going to be paying alimony and you pay her legal bills as alimony, that, you can do, however there was a court case last year that [inaudible 12:30] out the deduction for the alimony payment, to pay her legal bills. [12:38] The lawyer said, “What?! That’s alimony!” They went all the way to tax court and lost, because they forgot to put in the agreement that the payment of legal fees, her legal fees, was alimony. [12:52] They forgot that. It’s an income tax thing, and the lawyers are [inaudible 12:56] familiar with that. He lost. He didn’t get to deduct that as alimony. Adrian : [laughs] [13:14] I hate to laugh at that, but that to me is so classic. Randy: [laughs] [13:18] Here’s one…This is embarrassing, this one. It happened to me. I’m going to tell you a story about me. My first divorce, you know, what happens in a marriage? [13:30] You get a lot of credit cards, you get a lot of department store credit cards, all kind of credit cards, and you don’t use them all the time. Sometimes you move, right? [13:39] You still have the department store credit card, though, there. You don’t even use it. You’re never going to use it, but it’s still there. They don’t close it. It’s there. [13:50] 20 years into my next marriage, my current 30-year marriage, I started getting mail at my house sent to my ex-wife. They have her name right, middle initial right. It’s her, definitely for her. [14:07] She moved once at the…We sold the house and she moved in with her now-new husband and still married to him, once. I moved four times into cross-state lines, and yet they still found her in my house. [14:23] How does this work? It’s because I forgot to close one of the department store credit cards, with joint names on it. Adrian: [14:35] Was she racking up and getting some nice things for herself at Tiffany’s, nice wedding presents? [14:52] I get the bill, so we get the bill. I don’t know about it, and she [inaudible 14:22] . I would say she’d file bankruptcy. That credit card copy is going to come right after me, for the balance. [15:03] I owe it. I’m on there as a debtor. I can’t say, “Oh, no, she used that card. That’s her debt.” No, no, no. You’re on the card, too. It’s your debt, all of it. [15:17] You can’t get it from her, because she’s bankrupt. That could be an ugly surprise decades later, so be careful with that one. Adrian: [15:28] What happened to that six-year statute of limitations, that you were mentioning? Randy: [15:33] No, that wasn’t…We weren’t dividing anything there. That was simply…She and I have a debt together. It doesn’t matter if we’re no longer married. [15:43] That credit doesn’t care about that. You’re on a loan and that’s it. It like guys will do…A house would be on joint on a mortgage, and let’s say that she gets to keep the house and the equity and so forth. [15:59] That’s dangerous, if you’re still on a mortgage with somebody else, because they’ll come after you for the mortgage. [inaudible 16:05] If it’s a short sale, it reflects badly on you, too. It’s on your credit report. [16:12] You can’t get it off. The only way is to have her refinance it. A lot of times, they can’t do it. I wouldn’t argue against giving equity and all the rest. [16:23] The only thing is that if you’re on there, and there’s a mistake, it’s hard to get credit anywhere, because your mortgage shows up, and that is your mortgage. Not you. It’s not even your house. You show up in the credit reports as having a mortgage. Adrian: [16:40] That’s a long-time impact. There’s some mayor impacts, mayor financial impacts. Randy: [16:45] Yes. When you’re going through a divorce, and you’re going to get some of these things out on the table, talk to a financial person who’s familiar with the taxes and the pitfalls and all those things about finances, not everybody is tuned into that. [17:03] The reality is, if people say, “Well, let’s just do it that way.”, the courts and the lawyers will let you do it. Adrian: [17:13] They’ll let you screw yourself over if you let them. Randy: [17:17] Especially right around the time where the retainers running out. Randy: [17:24] “We have to wrap this up. Come on, we have to settle here.” Why? They don’t want to tell you, because the retainer’s running out, that’s when it happens. Tom: [17:43] The level’s dry. Adrian: [17:44] We’ve got communication and resources, what are some of the other mistakes folks make? Randy: [17:51] Some people make the mistake of having another relationship that, they’re leaving their marriage for. Everything becomes that. [18:04] “You know what? As soon as I’m done with this, my life’s going to be so much better, because I’m going to have this other relationship and can’t wait to do something over here. [18:13] “I don’t care how this comes out. I’m going to move on.” Some people leave too much behind. The goal should be to end the first marriage well, then move on. [18:25] Don’t give in to much, don’t give up to much. That’s right on the hills of another big mistake. Women tend to make this more than men, but plenty of men make it. [18:47] “She wants that, yeah whatever.” That’s throwing in the towel. That can have a long term impact on the person. Or the [inaudible 18:59] of the kids. [19:01] “She don’t want me to see the kids, except on weekends. One weekend a month or something. OK whatever.” Now it starts to hurt. Adrian: [19:07] I fell into that trap myself. I won’t say completely capitulated, but I definitely was of a mind that, if she wasn’t happy, and wanted to move on, then I’m not going to be some weirdo that’s going to trap her, and make her feel trapped. [19:25] I felt it was better to…for lack of a better description, throwing in the towel, though I wouldn’t say that strictly. I would say that it’s kind of a spectrum. [19:55] It’s like, “If you’ll be happier gone, then go.” I mean, that’s what we’re taught. If you love something, set it free. Randy: [20:03] Yeah. These are big business decisions however, divorce, because they made it that way. Courts made it that way. They made it that you split assets and debts. [20:13] They made it that you have obligations in terms of support. Supports for kids, and even for a spouse that’s not working or making a low wage. [20:24] One has to be careful, even if you want to be fair, be fair. Don’t give it all up, because it’s going to impact your life. You’re not going to be able to parent those children like you’d like to, for instance. [20:40] She don’t have anything. You didn’t have to give it all up. When I was with her, she’s living with some other guy. He’s paying the bills. [20:51] More states are against [inaudible 20:53] statues about cohabitation. But, there aren’t many big cases about it. No one’s quite sure how those will come out. Adrian: [21:04] Yeah I know. I was astounded personally, when I looked at the amount of money spent on the divorce, all in compared to our net worth. [21:19] The ratio was astounding. There’s a film out, Divorce Inc, that talks about, I don’t know if you’ve seen it or are familiar with it. They talk about the business of divorce, and the business of family law. [21:31] How lucrative it is and how it’s kind of like what you were saying earlier, geared up to get as much out of splitting couples as possible. [21:38] It is kind of astounding to me, and I imagine the numbers are pretty generally astounding about what percentage, if you look at the marriages of business. What percentage of the net worth of the business is spent, dissolving it? Randy: [21:53] From a guys perspective for instance. If he’s been the bread winner, or the wage earner, the career guy to help make the family happen, he looks at this as the money from my pay, went to put the equity into the house. [22:09] Money from my pay went into the 401k. The benefits that I earned from the company came out, of my work. The savings that we have over here, the cottage, the second home, all these cars. They all came out of my pay, and she’s going to take half of that with her. [22:27] From my perspective, I lost half. Now truth is, you both lost half, because she had 100 percent of it as long as she was here. The married couple has access to all of it. [22:42] People lose half of their assets, plus the cost of going through the process. Depending on the amount of money they had to begin with, they could be 70 to 80 percent of what they had, went somewhere else. [22:59] Into cost and into some persons waving bye-bye. That can hurt. It’s better not to have it worse than that at least. Another big mistake is forgetting who the decision makers are. [23:26] A lot of people sometimes throw in the towel, but saying, “Well, I can’t deal with that right now.” and let the Attorney deal with it. [23:34] The Attorney becomes the decision maker. Things don’t go well when that happens. It’s not their life they’re deciding about. They’re trying hard, but it’s not their life. [23:42] You have to get your mind in gear and with a coach, to be that thinking partner with you to define what that is. [23:53] How do you define what it is you need going forward? There’s other things too. A lot of guys would like to be a good role models for the children, going through a tough time in life. [24:07] The coach would work with them to become their best self. Be your best self through this. Don’t give in. Don’t throw in the towel. Don’t give her everything. [24:17] Be your best self in all of this. Who are you when you’re being your best self? Level headed, good negotiator. Develop a plan, whatever that is. [24:31] Have all those things in front of you, so that every time you’re doing something or thinking about something, are you being your best self through this process. [24:39] Kids remember this. Kids grow up and remember this stuff. Kids, sometimes when there is a lot of conflict in the household, when they get older, they’re trying to decide who to invite to the wedding. [24:54] Is it possible to have Mom and Dad at the Christening, of our first child? These are conversations that go on. Adrian: [25:04] Do we need to install a metal detector? Pat down Mom and Dad? [25:13] What I find interesting is your comment about, how you still have to maintain control from a decision making perspective, because a lot of thinking is that’s what the Attorney’s there for. [25:29] There’s definitely a conflict of interest there. In other words, the Attorney is suppose to be looking for your best interest. But that comes at an expensive rate, and they might not be. Randy: [25:46] Some of them are maybe confident, but many of them are lazy. A lot of them [inaudible 25:54] a little bit, so they don’t have the energy to do their best job for you. [26:27] Sometimes patients know they’re looking at the wrong leg, but don’t speak up, because they’re intimidated by the process. [26:46] Well OK, only five percent of the cases are decided by a judge. 95 percent aren’t. There are reasons for that. There are only so many judges, and there is only so many courtrooms. [26:59] There’s only so many hours of the day. When my parents were divorced, everything was before the judge. It was an in-court process. [27:10] Today, it’s an out of court process. We have legions, mediators, and other involved in helping people go through this, because they can’t have 30 days in court, like they used to have. Adrian: [27:27] The resources just aren’t there. Randy: [27:30] Waiting for the judge to make a decision is advocating your role, as a decision maker. The person nearest to you, you might default to, is your Attorney. [27:39] Well come on. You don’t know which Attorney you have. Be the decision maker. Just remember that. The light bulb goes on whenever I say that to people. [28:04] If they agree before the judge. Otherwise they throw it to the judge, and the judge does their thing. [28:26] He said, “Fair? OK, I know I’m fair, when I make two people equally unhappy.” That’s fair. [28:36] OK, doesn’t sound like you side with anybody. They’re impartial, they’re not neutral of the outcome. [29:00] They see 3,000 cases a year, men and women. Adrian: [29:05] They do fall into the statistical norm to. They fall into certain patterns of…The divorce recover people talk about six or seven types of divorces. [29:17] I would imagine they cluster the same for judges as well. I see the same sort of patterns. Randy: [29:23] Yeah, how is this similar to the other cases I’m adjudicated like this? They’re pretty close. They have a sense of what they’re going to do all ready, before they listen to testimony. [29:33] They’re pretty clear about what they’re going to do. [29:35] Something might move the needle a little, but it’s not going to move it that much. [29:40] Let me tell you a quick little story. A married couple, they were clients of mine as a Financial Planner. Three years or so later, I got a subpoena to show up as a witness at their trial. [29:52] A trial, what? They were getting divorce. They were going to go before the judge this trial day. They got all the way to trial day, and I show up. [30:01] I’m sitting there as a witness, waiting to be called. They’re not out of the courtroom yet, because in the morning they are still negotiating still in the hall way. [30:12] Each party has three Attorneys. Why you need three? I don’t know. They are allowed to bring Associates. Now, they’re paying for three Attorneys for the day. [30:23] They’re going back and forth. The Attorney’s, back and forth, and back and forth. Almost not consulting at all with their clients. [30:31] Then negotiating [inaudible 30:32] and by golly by noon, they had to decide by noon, because then we were going to go to lunch, and come back for trial at 1:00. [30:40] At noon they settled in the hallway. Done. The divorce is done, settled. OK, great. They don’t have to go and have the judge decide it. [30:49] They spent $100,000 to get there and because he dug in his heels, and she dug in her heels. They weren’t communicating, just digging in the heels and throwing money at this whole thing that was going, no place. [31:09] Then at the last minute, not to take a chance on going into the courthouse, into the room there, the court room. Both had compromised enough to settle and sign, but they spent $100,000 getting there. [31:24] They were a perfect example of my way or the highway, which is another mistake. A big mistake. [31:32] And here’s the thing, do you know what they settled for? About what they would have settled for, $100,000 ago. They didn’t have $100,000. They had it, but they didn’t have it to do that with it. [31:47] They cut way back on how much money they would have, to help raise their children, put them in private school, a lot of things now were difficult. [31:54] Oh, and by the way, because he dug in his heels, and she dug in her heels, the divorce dragged out for so long, and he was so distracted by it all, he lost his job. That’s the guy I mentioned earlier. He was in a high-performance job, and he couldn’t afford to be distracted. [32:16] It killed his job. It killed their money, and what was gained by that? The kids are like teenagers. They’re aware of what’s going on with this. Adrian: [32:41] Stand behind this glass wall. Randy: [32:45] Welcome. Welcome. Yeah, put your hands up. You know, grab your hands over your head. Like they do at the airport. Tom: [32:53] It’s amazing the fact that an impending event, like the court date speeds things up. Having that drop dead date. How everybody can come together and to your point, come to the agreement they had talked about, six months ago or a year ago. [33:14] Not too far off. Not $100,000 off. Randy: [33:18] Well, no, definitely not. [laughs] And they had some financial issues after that. Lots of them. Especially since he was now fired. He wasn’t making well into the six figures like he was. [33:33] He didn’t have the money now to support them like he was going to be doing with alimony, child support. [33:42] He has to pay some child support, but they’re going to redo all those numbers now. Because he said the number they were based on, you know pay, which now wasn’t there. What a mess. [33:55] My way or the highway. Big mistake. All the other stuff went into ruin, those mistakes flowed right out of the my way or the highway approach to [inaudible 34:07] . Tom: [34:09] How do you determine that, when you’re negotiating? How do you determine what that right amount is? Anybody that’s listening. How do you figure that out? How do you decide on what’s OK? [34:23] How do you kind of negotiate for yourself, but then also concede? Is there some kind of magic trick to that? Randy: [34:32] Well, first of all, there’s two. There’s two times in a person’s life, when they’re completely temporarily insane. One is when, they’re in romantic love with somebody. Right, you’ve heard that. It’s a form of insanity. [laughs] It’s like you’re not thinking. Adrian: [35:11] Which one’s which? Randy: [35:12] I don’t know. [35:24] If they could focus on the facts, a thinking partner like a coach can help them focus on the facts. Take the time to do that. Budget and assets, and so on, and needs, the kids, and parenting plan, and all the rest that’s full of emotions, but let’s focus on the facts. [35:53] The bottom line could change five or six times. However, always focusing on the needs…even the person you’re talking to, it doesn’t have to be the other person’s needs, just their needs. [36:05] Because one of their needs might be, “Well, I want my kids to live in a decent place.” They’re going to support that. Most guys want to cut her off “She doesn’t get anything, a dime. Pack up your things and leave.” Well, that’s not going to happen. [36:24] “Well, I’m not paying another dime more. My attorney says I can whittle that down.” It’s OK, you can do it that way. Then you figure out that, she has to live in a neighborhood that’s different. Different neighborhood, not as maybe a good as neighborhood. [36:42] I always make the joke that says, “You know, now she has to live in second floor lock-up in an apartment, over a combination gas station, liquor store on the wrong side of the tracks. If that’s where the kids are going to be, that’s not going to be very much fun. Adrian: [37:31] Yeah, It’s pulling the person out of that emotional, heavy pain state and anger into a little bit more rational, give them some perspective. It’s got to be a big part of being a coach. [37:47] Trying to give them some long-term perspective, and pull them out of the emotional fog, emotional chaos and allow them to see the bigger long-term picture. That’s tough then when you are insane, when you go through it, and totally wrapped up and can’t see straight. Don’t know up from down. Randy: [38:08] Yep. It’s a matter of fact is you know, they’re going to go through it. Like it or not. It’s how do they want to go through it. Try to find a time to talk about it, think about it, rationalize about it. Be the voice of reason. Be calming. Create a calm space. Adrian: [38:42] Those are tough, even when you’re not going through a divorce. Randy: [38:44] They are. Well, I mean for the Coach to do that. Not the person going through the divorce. Forget that. [38:53] No, the Coach…somebody who’s talking to this person, needs to create a safe and supportive space with these people, and to be non-judgmental about what they’re about. And also be patient. [39:08] Those two things, non-judgmental and patient are tough to do as a Coach. It takes a lot of training and practice to do that, because…think about it. We’re judgment making machines, aren’t we? We attach meaning to everything. [39:23] We judge everything. How does a person who judges everything, be non-judgmental? Well, it takes practice. [39:31] It’s helpful to somebody who’s going through a divorce, especially, because they’re already being told they’re stupid, or crazy, or what’s the matter with you? You can’t do this. You can’t do that. People are already judging them constantly. [39:45] It’s nice to be in a space where someone isn’t doing that. People are impatient. “Don’t you get it? This is what we got to do. Hey, just do this. This is what I want. You don’t need to talk about it, give it to me.” They’re hearing that already. [40:00] Being patient with someone, who’s having struggling through functioning normally. They’re not functioning at a high functioning level right now. It takes some patience to be patient with them, and to hang in there with them. To be flexible. [40:19] Who else is doing that for them? Nobody. Tom: [40:27] Randy, we’ve had a lot of guests that we’ve asked this question and I’m curious to hear your perspective. 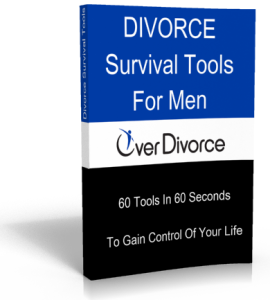 How long does it take to get over divorce? How long does it take before people become functioning, and rational, and productive again? Randy: [40:43] Well, the studies that have been done, the polls or whatever…they were approached by polls, said somewhere between two and three years, on the average. [40:55] I know when I got divorced from my wife who…we did not have children. We had no other relationship between us after that. It took me a year before I even cared to date. [41:08] I had no interest in dating and I was a young guy. I’m in my ’20s. The hormones are still raging, you know what I mean? But I didn’t have…dating was different. Dating and getting to know somebody again. That was a year before I could even think about it. [41:28] With kids, and all that, it could take awhile because now you’re…dating means you’re may be finding someone, who will be mom to these kids some part of their lives, every week. [41:45] In a way, not mom. Not want to replace mom. You have a mom but she’s going to have a presence. You have to think about that. [41:56] Balance your needs with the needs of your kids, depending on how old they are. Mom’s doing the same thing, and that can drag it out a little bit longer before you…you’re not over this yet. If you’re thinking that way, you’re not over this yet. Tom: [42:18] Thinking what way? I’m sorry. Randy: [42:21] If you’re thinking in the way, of what the divorce has now made an impact on you moving on, you’re not over it. You’re still in it. You’re still dealing with the co-parenting, and the divorce fallout. [42:40] You still have to communicate with the ex, and now you have a new person in the house, and there’s friction there. [42:48] They’re complaining about something, about what’s going on between you and your ex. And the kids, and all of that, you’re not over it. You want to be over it, but you’re still in the soup of divorce on some level. Tom: [43:05] Yeah, I found when I stopped telling myself that I was over it, then I was really over it. [laughs] I would stop lying to myself and say, “OK, I’m over it now.” When I stopped staying that, and it was pretty much over. That’s funny how we play those little mind tricks on ourselves, right. Randy: [43:29] Well, and what’s wrong with not being over it? It’s life. You can look at it, get it out, examine it, see how you feel about it. Relax, it’s all right. “It’s part of my life. I got married and divorced. I have children.” You know that’s not going to go away, the fact that I have children at least. [43:48] The divorce is done. I don’t have a relationship with her except for, we’re parents. We need to communicate about the kids, but not about anything else. [43:59] What you don’t want to hear is that her boyfriend said something to Tommy, “This is your son, and he’s over hear complaining to you about it.” That could drive you crazy too. You can try to be over it, but it’s still happening. [44:17] You’re not as stressed out as much now, and you can be very big about it and find the capacity inside yourself, to be that man that says, “Look, I can handle any battle. I can handle anything they want to throw at me. I’m going to be a steady guy for my kids. [44:52] There’s a balance there. “I can’t get rid of the noise. I can’t get rid of her noise tie up totally, so OK. I can handle that though. If I need to be inoculated against that, if it drives me up a wall, I need to be inoculated against that.” This is what the therapist say. [45:12] Go to a therapist. Don’t worry about this. There’s no stigma in that. Go to a therapist and tell them you need to be inoculated from the divorce [inaudible 45:19] . Tell them that. Now find a therapist who knows what you’re talking about. [45:26] If they look at you like they have the deer in the headlights look when you say that, just close the door and don’t bother them anymore. Randy: [45:41] Every once in awhile, somebody can use some help. Adrian: [45:44] Talk to us a little bit about what that inoculation means. I mean obviously it’s something that a therapist is going to understand, and you need to talk to a therapist about it. What’s the layman’s definition of that? Randy: [45:56] Well, I don’t know exactly. I imagine it’s a matter of perception. What does this mean to you? We could look at it this way. We could look at it that way. I don’t know. [46:10] I know it’s a little bit like coaching, but it’s not coaching. It’s dealing with somebody’s psychology, and I’m not qualified to even talk about it. I don’t know. [46:39] It’s like, you might need surgery there, but I have no idea [laughs] what surgery or what medicine they might need. Go see a doctor who deals with that. Adrian: [46:51] There’s coaching and then there’s therapy. You can go to a coach, and go to a therapist, and have your lawyer, and now we’re talking about you got three people on the payroll, now. Randy: [47:11] Well, that’s one thought. It could be you take a break from coaching, because there’s something in therapy that needs to be taken care of, and then you come back to coaching. It may be that this isn’t even affordable. [47:23] Maybe you find a coach and a therapist who does so many hours pro bono, per year. If they haven’t spent that bank yet, if those hours are still there, they might be able to help you. [47:35] It might not take many hours to work through it. But if you don’t ask around, if you don’t check around, what are you doing? Check around. [47:47] Now, there’s not that many coaches yet, and there aren’t that many therapists who deal with divorce. Reason is divorce can overwhelm therapy too, and overwhelm the lawyer. A client can overwhelm his lawyer. [48:01] Coaches are trained not to be overwhelmed, so they make a better thinking partner. It wouldn’t take that many sessions with a coach to get on the right track. Adrian: [48:15] Yeah, so that’s interesting, because I’m being flippant about it, but the truth is, there’s two distinct roles going on there. [48:24] The coach is helping you think about your actions, and your therapist is conceivably helping you with your inner game and the machinations, you’re going through internally through all this. And they’re distinct sets of behavior. [48:45] There’s this sort of an internal behavior that the therapist is going to help you with, the way you’re managing your mind so to speak, for lack of a better phrase. [48:55] Then you have a coach that you’re thinking through the process, of your external behaviors and the decisions that you’re making, and deciding to make a decision, right? Randy: [49:06] Well, OK, therapy involves diagnosis and treatment. It generally involves looking at the past. Coaching, even if a therapist is doing it, it’s coaching and it looks forward. Some people cannot get out of bed in the morning, because they’re so depressed by their situation. [49:30] Now, that’s not something a coach can help you get over. That would require some kind of therapy. OK.
Tom: [49:39] I know I had a football coach in high school, who would have like yelled me right out of bed. [laughs] Just keep yelling until I got out. Randy: [49:49] Coaches try that. If it doesn’t work consistently, then they get the idea that coaching isn’t helping them. I wanted to make a point about this earlier, but I forgot what it was. I got so far away from it. About coaching and the value of it and so forth. [50:10] It’s pretty clear that the coach is going to be there. You can bounce ideas off the coach, work with them, brainstorm, thinking partner, sounding board. You know somebody that you trust, because they’re there for you. [50:29] Not trying to convince you of anything. Not trying to solve your problem. They’re trying to evoke your creativity, and your insight, and your wisdom. [50:39] Guys have all of this wisdom, insight and creativity in them. Who’s helping them with that? Somebody has to help them with that, because that’s going to get them out…this is what got him here so hard, isn’t it? [50:50] Creativity, you know, they knew something. They have wisdom and they have creativity and they wherewithal, and a lot of other stuff. [50:57] It’s all great things that they have. All of these great qualities. These guys are being told they’re crap. “Get out. I hate you. You’re stupid. You don’t know anything. I’m not going to listen to you anymore.” Taking away all of your powers. [51:13] Well they have all that stuff still. You want to have a conversation with somebody, who understands that. Then it will all come back. And then all be sustaining. Then you might have to check in once in a while, because the world’s beaten you down. [51:32] OK, let’s go back to the coach, and let’s evoke some of my wisdom, and my resilience, and my strength, and get a recharge, get a pep talk, get something, from somebody who cares. [51:46] I know they do, and I trust them, and they’ve been helping me, so I’m going to go back there. I’m going to spend a little money, and I’m going to get it done, and that’ll be great. I can get back on the track and start running again. Tom: [52:01] Yes, it’s a powerful distinction and worthy of time, to distinguish between therapy and coaching. I think that gets lost. That gets lost or missed. People aren’t even aware of it, honestly, I don’t think. [52:20] It’s been enlightening for me personal, that I hear you make that distinction and super helpful, as well. Coming up on the end of our hour here, I want to thank you so much for being generous with your time, Randy. It’s been enlightening for me. Adrian: [52:42] Randy, if somebody is interested in finding a divorce coach or becoming a divorce coach, where is the best place for folks to get in touch with you, and your organization? [52:59] I know you’re at certifieddivorcecoach.com. Looks like there’s a lot of resources on there, for folks who are going through the process and are potentially interested, in finding a Divorce Coach. Randy: [53:16] If you Google “find a divorce coach,” our site comes up right at the top, and some other coaches, not certified by us, come up as well. There are other coaches who are good. [53:28] They don’t have to be certified by us to be good. Someday or the other they’ll come around and be certified by us too, because we have a code of ethics and standard of conduct. We coach a professional standard accepted by other communities, legal and otherwise. [53:44] There are some good coaches that come up. If you Google “divorce coach,” we’ll still come up at the top, and there will be more coaches other than us. You can look on our website and look at the other ones there, see who’s near you. [53:58] Now, remember this. A divorce coach, or a coach, can coach you from anywhere. You don’t have to be down the street from me. [54:06] Most of the coaching takes place over the phone, which is very convenient. You can go out of your office at lunchtime, and talk to a coach, in your car on your cell phone. It’s that flexible. Search around, and pick somebody you want to work with, and call them. Tom: [54:28] What are the keys, beside accreditation? What are some other cues, or clues, that one might look for, in a good coach, when you’re searching, and you look at the website, and, that’s on WordPress, and another one’s on Squarespace, and I don’t know which one to pick. Randy: [54:54] Some people have a definite background. Some are therapists. Some are financial folks. Some are certified coaches in another arena, who now, are also divorce coaches. They’re very experienced people. [55:11] Some are attorneys, who are coaches. There aren’t that many of them, but there are more of them. There is a growing number now. [55:18] We have several we’re training, and will, eventually, be certified by us. It’s a small group, unfortunately, but it’s an emerging, professional, divorce. If you have a chance, take advantage of it. If you want to try it, there’s no long-term obligation on this. [55:39] You have to really interview, maybe, two or three coaches, to find the one you want to work with. This is very personal. [55:49] Don’t assume that, if you’re a guy, you can’t talk to a female coach. Many of them can be really amazing. Don’t assume that it’s only guys that you want to talk to. Interview both. See the style difference, what feels right. Tom: [56:10] Have a couple of interviews, before you make your final decision, and know that it’s not something that’s going to perpetuate itself indefinitely. It doesn’t have to, anyway. Randy: [56:24] If it’s not working out, something’s not working, you can express that to your coach. Help them out, express it. See if there’s something that they notice, that could be better, and keep going, if that’s what they suggest, or find someone else. [56:56] Is because he doesn’t like me. I don’t know what it is. I’m going to find another doctor. I don’t have to stay with this one. [57:04] It’s the same with attorneys. How many attorneys do people fire sometimes, during their divorce? “OK, you’re fired,” [laughs] Two, three times. The coach sees it as, “Was that the attorney?” or “Was that the client?” The client wasn’t accepting something or what? Tom: [57:32] When you’re dealing with a bunch of insane people, it might be the clients. Randy: [57:40] Here’s a thing, when you’re insane, you don’t know it. Randy: [57:46] I’m insane, what you’re talking about? Oh yeah, you’re buggers. You’re insane. Tom: [57:51] The world that’s crazy. Adrian: [57:58] It’s been an instructive hour and once again, I want to re-express how thankful we are for your generosity today, Randy. It’s been absolutely fantastic. Enjoyed every minute of it. Tom: [58:11] Thanks so much for being on the show. If you want to find out more about Randy, checkout certifieddivorcecoach.com and you can find out all about them, and the coaching that they provide. Thanks so much again for being on the show, Randy. Randy: [58:28] Thank you. We had fun. Didn’t we? Adrian: [58:31] I hope so. Tom: [58:33] I believe it was helpful and until next time, I’m Tom. Adrian: [58:35] And I’m Adrian. Tom: [58:37] Thanks for listening. Bye-bye. Announcer: [58:39] Thanks for listening to the OverDivorce.com podcast with Adrian and Tom. The opinions expressed are theirs alone. They are not professionals. Join us next time anyway. It will be good for you. 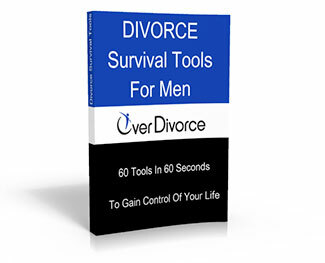 Visit OverDivorce.com to get your free divorce recovery guide. It’s a fantastic resources on making a better life. [58:56] Contact us via email at podcast@overdivorce.com. Follow us on Twitter and like us on our Facebook page. We want to help you if we can.